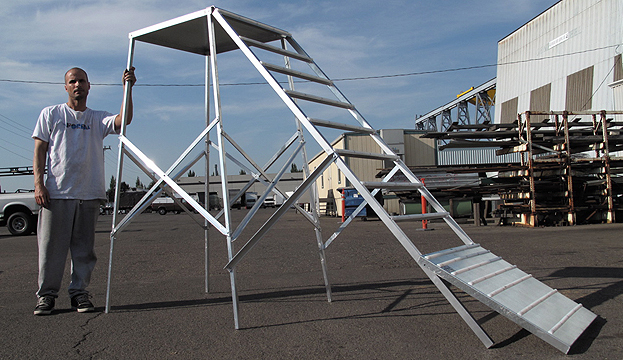 Sick of carrying around your sketchy wooden drop-in ramp? Look no more! 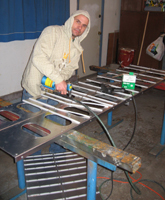 Heine Snow Tools has the answer for you. 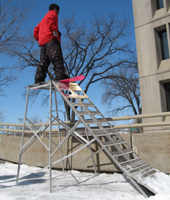 This ramp is used to gain speed for handrail drop ins.The Heine Snow Tools drop in ramp is designed with all aluminum construction and plastic slide runners to be fully portable. Assembled it stands 6.5 feet, yet collapses to fit inside a snowboard luggage bag. 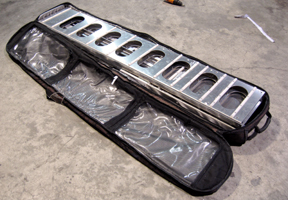 The Heine Snow Tools drop in ramp is used by all the top pros and has been featured in films by both Mack Dawg and Forum.